The Save the Plough campaign is looking to raise £120,000 through a community share issue. The group has been in discussions with a private investor who has offered to buy the freehold of The Plough and lease it back to the community group on favourable terms over an initial 10-year period. The private investor would cover the acquisition and external refurbishment costs. The £120,000 would cover the initial start-up costs of the business. If you are interested in making an investment in The Plough contact the group directly by emailing ploughsandygate@gmail.com or Facebook for a copy of the pledge form. A public meeting is also scheduled to take place on Thursday 15 June, 7pm at St Columba’s on Manchester Road. We have formed the Plough Community Benefit Society Ltd and have registered with the Financial Conduct Authority. This means that we are now in a position to raise funds through a Community Share Issue. Originally, our plan was to buy the freehold of the Plough which had been put on the market for offers in excess of £550,000. 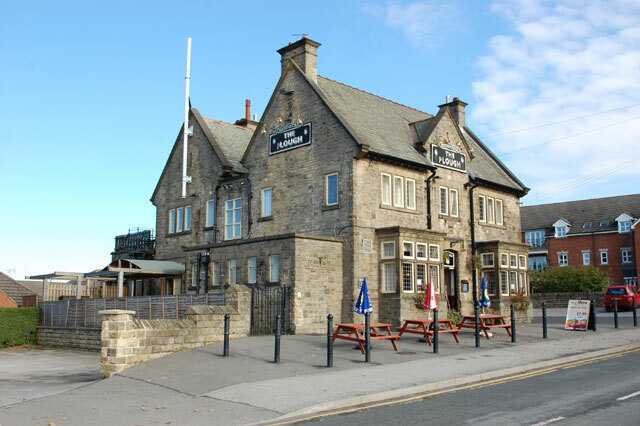 We commissioned a valuation from an independent consultant who valued the pub at £435,000. Clearly raising that kind of money plus funds for refurbishment would have been a tough challenge. However, very recently, we have been in discussions with a private investor who has offered to buy the freehold of the Plough and lease it back to the community group on favourable terms over an initial 10 year period. Financially, this makes our target much more achievable. The private investor would cover the acquisition and external refurbishment costs. We would be responsible for refitting the interior of the pub. We are looking to raise £120,000 through a Community Share Issue which would cover the initial start-up costs of the business. We are now seeking to gauge the level of support for a potential Community Share Issue. Shares will be valued at £1 and sold in batches with a minimum investment of £250 rising to the legal maximum of £20,000. All shareholders will have equal voting rights irrespective of the value of their holding. If you would be interested in making an investment in the Plough, please contact us directly by email for a copy of our Pledge Form: ploughsandygate@gmail.com. Or contact us through Facebook messenger. Please consider making a financial and social investment in the Plough as both a traditional local pub and a thriving community asset. We will be in Crosspool precinct tomorrow morning if you would like to talk to us and we are planning to hold a public meeting on June 15th. This entry was posted in crosspool, drink, food, hallam fc, history, pubs and tagged sandygate, share offer, the plough. Bookmark the permalink.